Here's a quick and easy card, inspired by page 18 of the Occasions Catalogue. 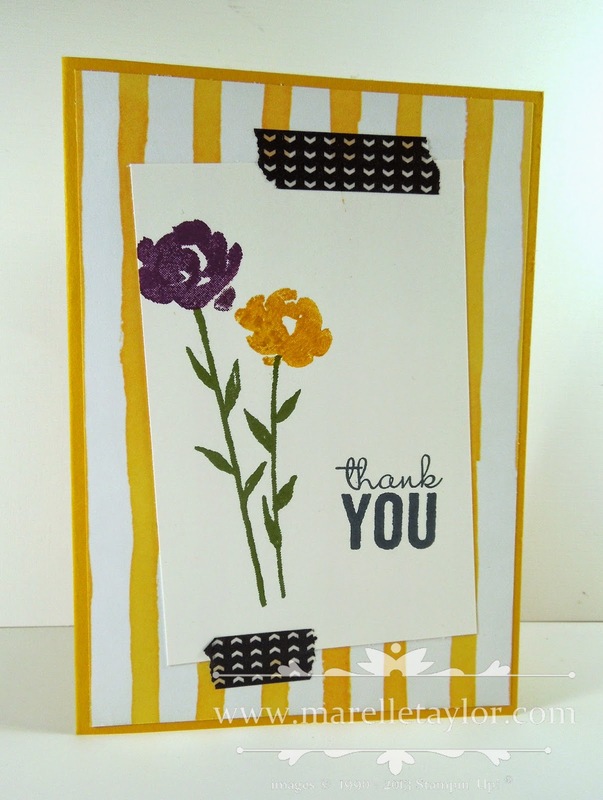 The background piece is the Painted Blooms DSP, so it really is a card you can whip up in just a few minutes, with only a few supplies - 1 stamp set, a pack of markers and some washi tape. I love having a design like this up my sleeve, for those last-minute occasions that crop up.